Originally, construction of the deck was to be in timber, however, it was decided that constructing it in steel would be cheaper, stronger, and longer lasting. 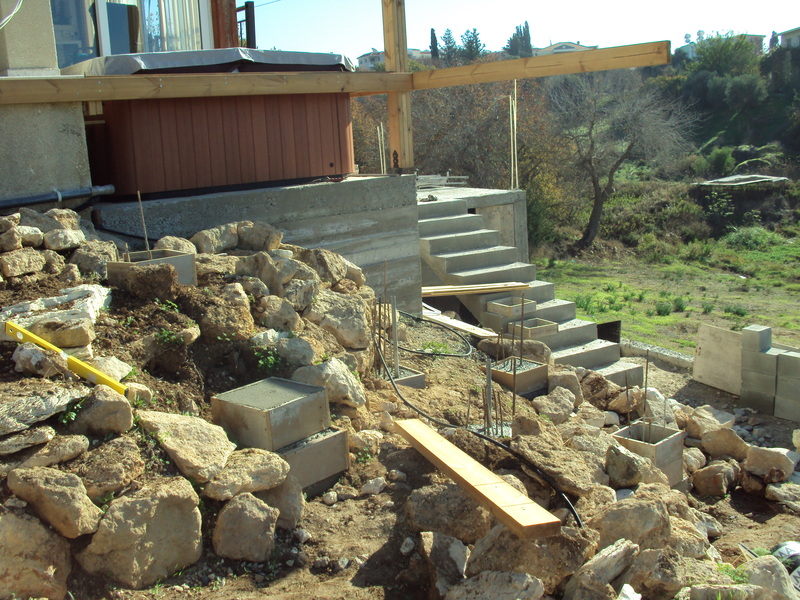 Either way, due to the hilly nature of our plot, concrete pads had to be put in first to support the deck and level it up. 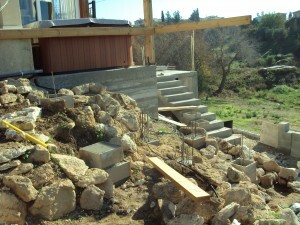 You can see the start of some of the concrete pads in the photo. This entry was posted in Building work at Konia on May 20, 2013 by admin.